On February 9, 2015, the Ici Radio-Canada Première radio host Marie-France Bazzo talked with the economist and philosopher Alain Deneault about tax evasion. 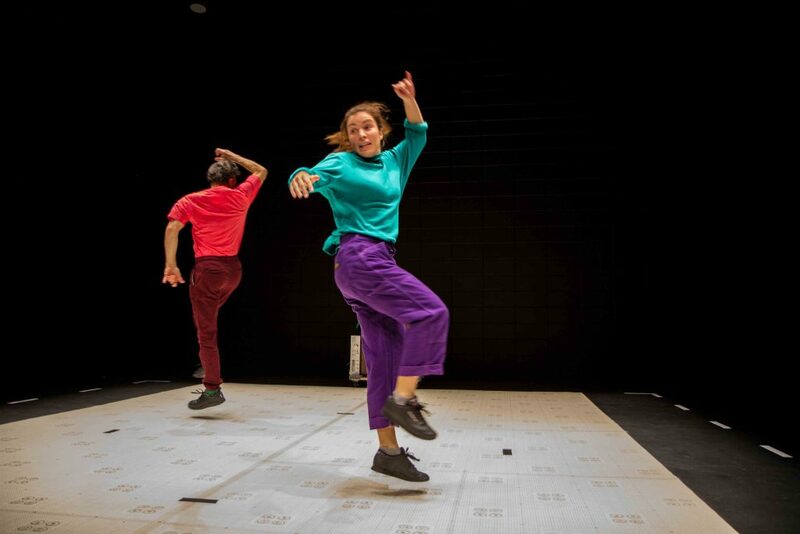 Infuriated by what they heard, Alix Dufresne and Marc Béland responded with a virulent, spirited choreography, a reinterpretation of the interview that brilliantly portrays this economic scourge. 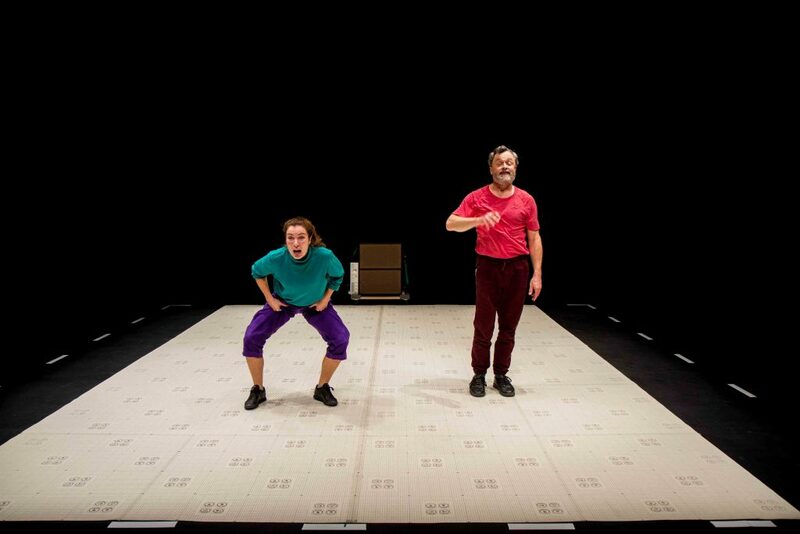 Breathless, absurd and outlandish dance gymnastics accompany the voices, helping the audience feel in their bones the direct consequences of a system that affects us all. Propelled by the artists’ virtuosity, the portrayal is coupled with weighty reflection on governments’ abdication of responsibility, and how legislatures are controlled by a handful of oligarchs. Repeated at high speed, stretched, truncated or distorted, the “verbatim as performance” presentation exposes the great scam that this legalized tax fraud havens constitutes. Very astute clowns, Dufresne and Béland perfectly reflect the rage and powerlessness of citizens. Paradise for a few, hell for everyone else. 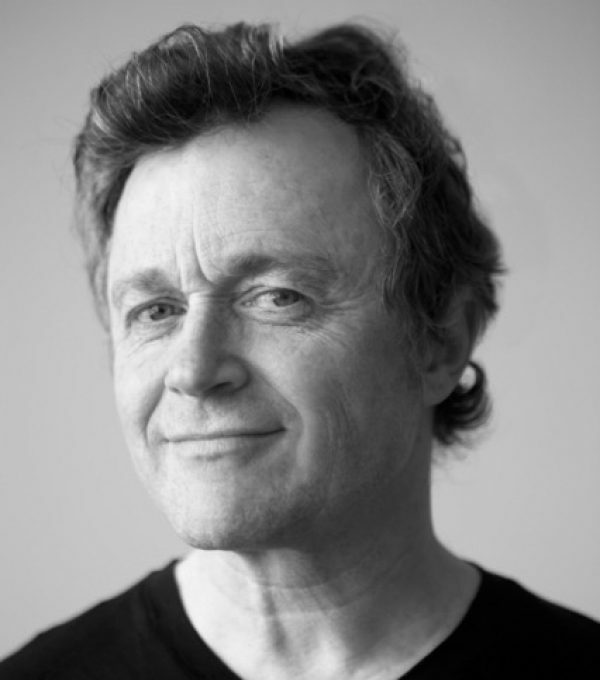 An incandescent, versatile actor, Marc Béland is also a politically engaged citizen artist. He began his career as a brilliant performer with La La La Human Steps in the 1980s. His acting in everything from Cabaret neiges noires to La mouette is marked by inner fire and implacable precision. He has worked on many occasions with the director Brigitte Haentjens, notably in the roles of Caligula and Woyceck. His work as a director includes staging Hamlet at the TNM in 2011, a piece he knew well, given that two decades earlier he had played the title role. 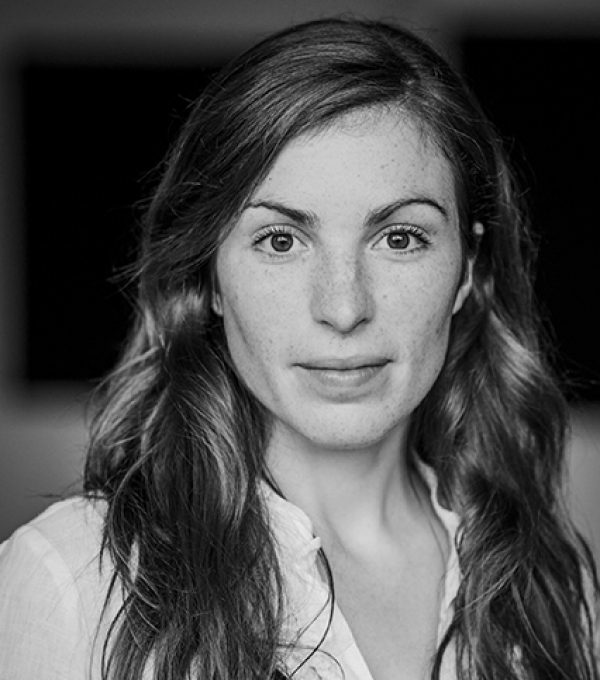 A gifted young graduate (2014) of the National Theatre School’s directing program, Alix Dufresne is interested in both dance and theatre, and makes dramatic use of non-theatrical objects such as novels, poems, voodoo chants and soundscapes. In 2014 she presented Les paroles (The Words) by the Australian playwright Daniel Keene at Théâtre Prospero, her first encounter with Marc Béland, who was one of the actors. 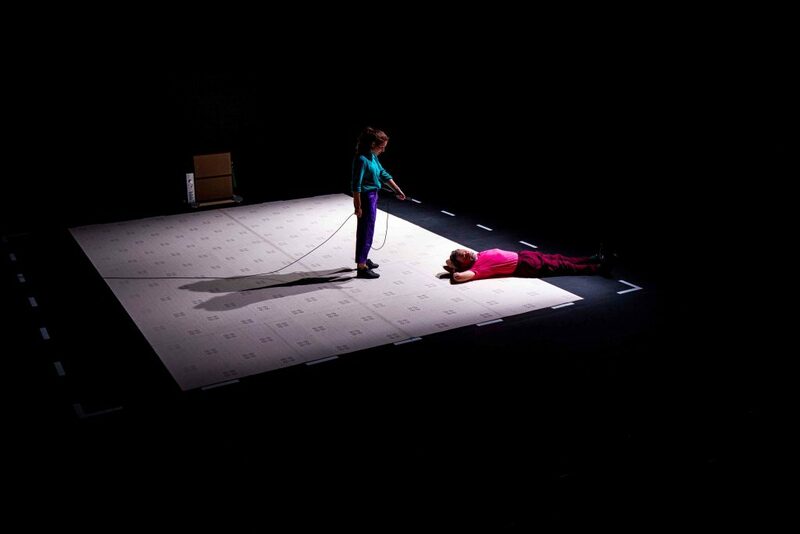 During an artistic residency at the Centre du Théâtre d’Aujourd’hui, she created Nuits frauduleuses in 2017, a piece based on works by Quebec poets from generation Y. In 2018 she staged the Geneviève Petersen novel La déesse des mouches à feu working with a dozen adolescents, a show that won the 2017-18 Critics’ Award. For their first collaboration, Alix Dufresne and Marc Béland make use of shared artistic practice to create a strong echo of the voices of those sounding the alarm about troubling events and trends in the modern world. Using the stage as a platform for protest, coupled with effective use of trenchant media material, they open the spectator’s imagination to broader horizons. Initially presented in workshop form at OFFTA in 2016, Hidden Paradise was presented at La Chapelle and later at the NEXT Festival in Belgium in 2018. 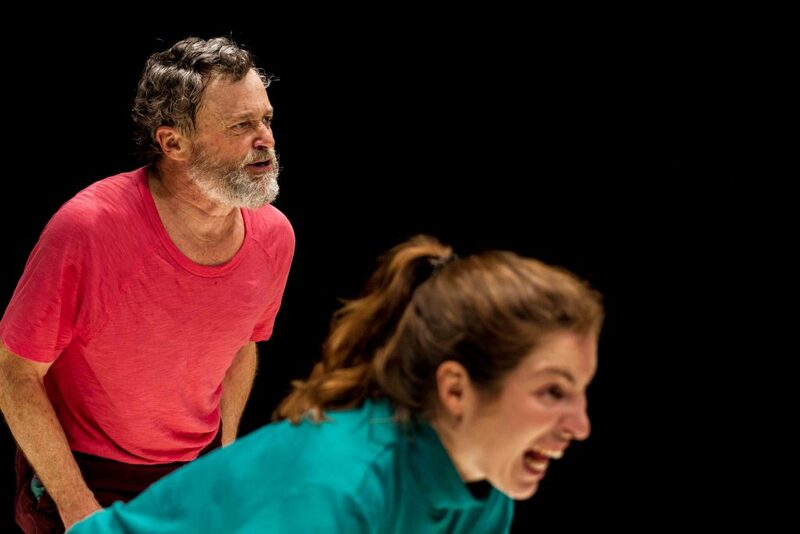 In 2015 after listening by chance to Marie-France Bazzo’s radio interview with Alain Deneault about tax evasion, you decided to use it as the basis for a dance piece. How does that interview resonate onstage? Marc Béland: We wanted to present our point of view on this discourse, on this chat about tax evasion on a popular radio show. Basically it was a question of presenting the radio interview as is, and inviting other citizens to listen to it. Then we tweaked the interview in different ways to show our powerlessness to do anything about tax havens. There is much outrage, an anger underlying the whole project. The radical nature of the interview is what we wanted to work with. Alix Dufresne: We didn’t want to combine fiction with Deneault’s words, for his discourse is so well articulated, pure, vividly summarized. Our work consisted of knocking it off its pedestal and into our bodies in the hope that it would then enter the spectator’s body. When Alain Deneault expresses himself his point is quite clear, but when you start physically responding to what he says, his ideas become even clearer to some viewers. The information is thus deeply layered, and that is important to us. Our indignation then takes different forms that resonate in the room on several levels: orally, physically, emotionally. It’s our way of intensifying the interview. How does your show differ from a stylistic exercise? A.D.: It is first and foremost a civic act. We have given ourselves tasks that have an instinctive sense. It wasn’t something we consciously discussed. We discovered the show during the process of creating it, with the particular rhythm of the text, the rhythm of the bodies. Our first approach was to rehearse, memorizing the whole interview, before deciding to look for ways to inhabit the text, to embody it and get it up and moving. Then we had the idea of doing it at high speed. From speed came a kind of anger, an exasperation. We didn’t consciously seek exasperation; it came with the speed. M.B. : The idea was an extension of a “line run” rehearsal, where the actors say their lines quickly, devoid of any emotional intent. I found it interesting to give the same treatment to text performed onstage, detaching it from what it means in order to see what remains. In fact, the idea of organizing tasks and exercises was mainly to avoid giving it any political baggage. Rather than having an opinion about what is being said, we fully commit to it. We commit our bodies to achieving the objectives we have set. It becomes as absurd as our powerlessness in the face of the economic system described by Deneault. During the three years you worked on this performance, what initially inspired you and what still stimulates you now? A.D.: Labour and absurdity. The absurdity comes from the energy we put into creating this show even though it will change nothing, but to do it onstage anyway. Radio is an evanescent medium. This crucial discourse, which should make you go out into the street to revolt, disappears quickly and you go back to your dinner. We repeat it ad nauseam on a stage. When people leave the theatre the words have disappeared, despite the hard work, despite the rehearsals. So there is something absurd about the fact that it won’t change anything. Continuing to present it again and again or putting great effort into denouncing the system won’t change anything either. The 1% leads the world, and as long as we take no action, however absurd it may be, they will retain their privileges. M.B. : More important than working with this material to vent personal indignation is to try to inoculate people with the virus of creative action. What can each of us do to enrich our daily lives? How can we mobilize and commit to doing something, no matter what the cause? We want to galvanize the citizen. A D.: As an artist I wonder how to return to fiction after this show, what stories to tell when reality is already so drastic. My challenge is to find out how, in fiction, to achieve that degree of urgency. There is nothing more powerful than the words of sociologists sounding the alarm. Now that we’ve had a taste of this, that we’ve passed on this discourse to people, how do we proceed? What’s next?